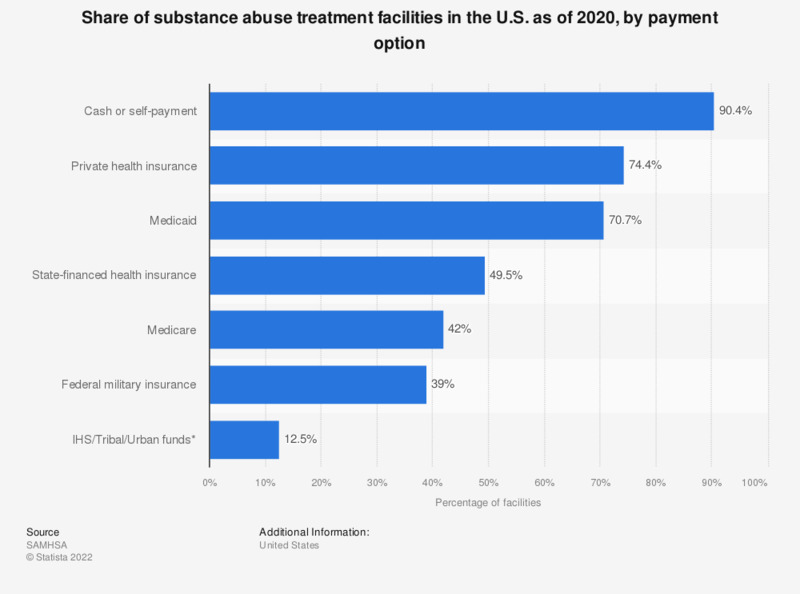 This statistic displays the distribution of substance abuse treatment facilities in the United States by their option of payment, as of 2017. Private health insurance was accepted in 70 percent of the country's substance abuse treatment facilities. Facilities under the federal government were less likely to accept cash payments. * Access to Recovery (ATR) funds were available in CT, ID, IL, IA, MA, MI, MO, NC, OH, OR, and WA for 2017. ** Through a contract, tribes can receive the money that the Indian Health Service (IHS) would have used to provide direct health services for tribal members. Tribes can use these funds to provide directly, or through another entity, a broad range of health services. The proportions of all facilities reporting acceptance of specific payment options. When do you usually check which payment options an online shop offers?